Don't miss out on Startup Bootkamp, a 1-day crash course in startups, entrepreneurship and venture capital. 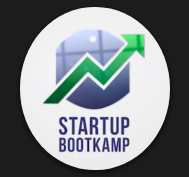 Startup Bootkamp will be a 12 hour experience with 50+ subjects, guest speakers and a networking happy hour to follow! Are you an early stage founder or aspiring entrepreneur? Don't miss out on Startup Bootkamp, a 1-day crash course in startups, entrepreneurship and venture capital. Startup Bootkamp will be a 12 hour experience with 50+ subjects, guest speakers and a networking happy hour to follow! Speaker Information: Phil Castro is a 10 year startup veteran with extensive knowledge in early stage entrepreneurship. He is also the current founder of BarPass and has won awards like "35 Under 35", "Startup of the Year" and much more.